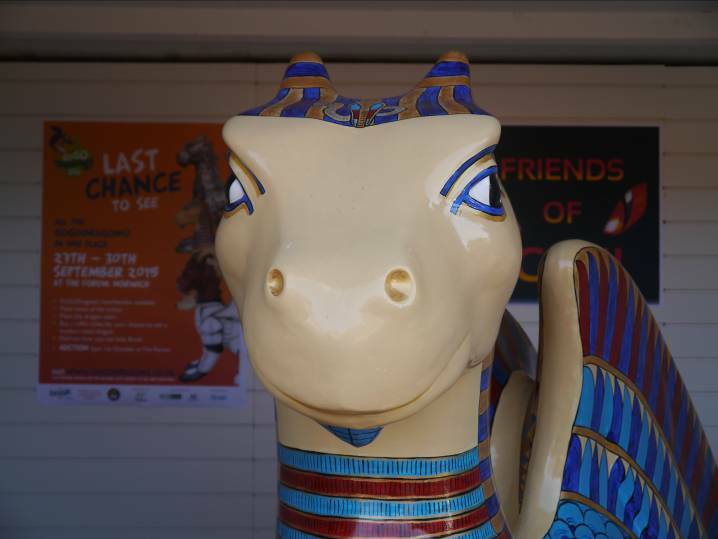 GoGoKingTut has been part of the fabulous GoGoDragons 2015 Trail around the streets of Norwich, which thousands of people have enjoyed throughout the Summer. 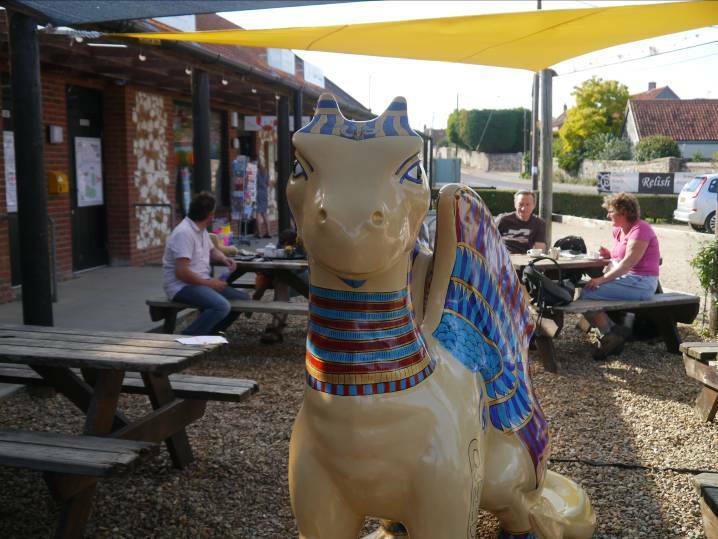 While the rest of the Dragons have their make up done in preparation for the big Auction on 1st October, GoGoKingTut slipped away in the back of a pickup truck, to his holiday home in one of Dalegate Market’s beach hut pop up shops. Stephen, one of the Dalegate Market team, never expected to have Dragon Chauffeur on his list of skills, but he can definitely add it now. 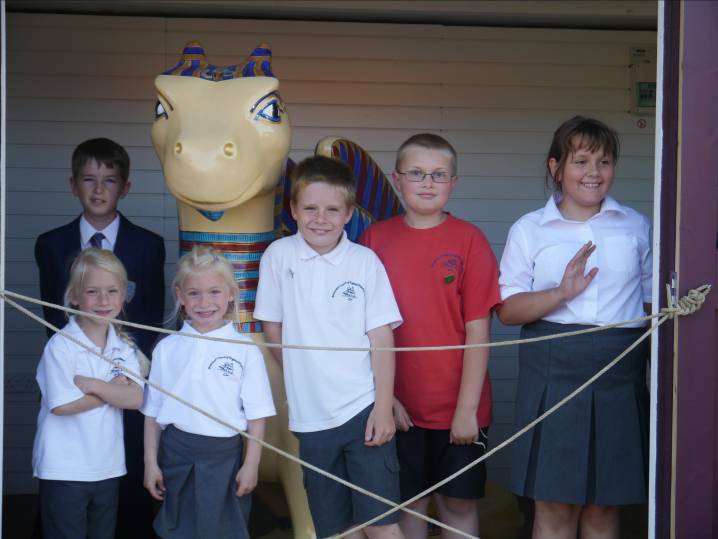 GoGoKingTut will be at Dalegate Market until the end of Tuesday 15th September, and is happily accepting visitors. He’s already been photographed with some local children and he’ll no doubt appear in many a selfie during his stay. GoGoKingTut is sponsored by the Friends of Iceni, a collective of Norfolk businesses: Ellie’s Cakery, Jabbawocky, Grain Brewery Scrapbook, Inspired Youth, Surrey Tavern, Spree Book - Norwich, DSS Digital Media, Jon Clifton, Motivated-Minds, Horatio Creative, Aspiration Europe, Norfolk Veg Box, Norwich Sling Library, Fosters Solicitors, Jill Watkinson and Iceni Magazine. He was designed and painted by the hugely talented Helen Smith. 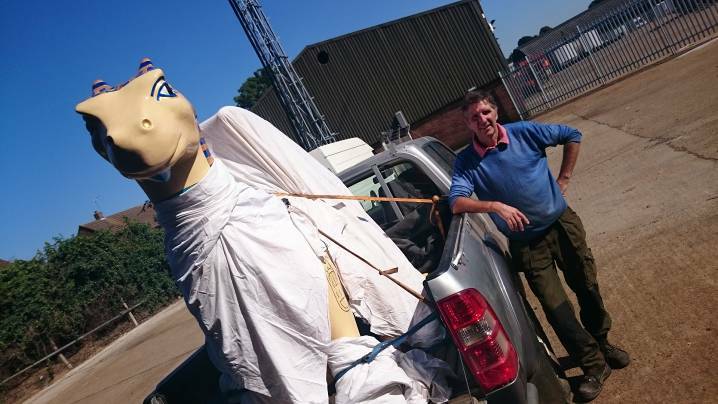 When we wave goodbye to him on 16th September, he’ll return to Break Charity, and will appear with the rest of the GoGoDragons in The Forum from 27th to 30th September, before hopefully raising huge sums for Break at the Auction on 1st October.